“I see and hear all too often from women how we either let others put boundaries on our ambitions, or we set limits on ourselves not to dream too big,” said Caron Hobin, Vice President for Strategic Alliances, Bay Path University. “When confronted with life decisions, big and small, I like flipping the question about whether or not to boldly go forward with an idea or action from Why Me? to Why Not Me? I believe this shift in mindset becomes easier if you can hear from others how they have gotten themselves over that hurdle.” Hobin said. Keynote speakers will share their perspectives on this year’s conference theme, “Why not me,” motivating and inspiring attendees to challenge closed doors and to make waves around the world, effecting positive change in their lives, communities, and beyond. Delivering the WLC’s keynote address will be award-winning actress, dancer, and singer Rita Moreno, winner of the grand slam of the entertainment industry’s most prestigious awards: The Emmy, The Grammy, The Oscar, and The Tony. Throughout her 70 year career, Moreno has had memorable roles in the musical films The King and I and West Side Story, and in 2004 was awarded the Presidential Medal of Freedom, America's highest civilian honor. Mel Robbins, the celebrated serial entrepreneur, best-selling author, life strategist, internationally recognized social media influencer, and one of the most sought-after motivational speakers in the world, will deliver the conference’s luncheon keynote. Mel is the CEO and co-founder of The Confidence Project, a media and digital learning company working with Fortune 500 Brands to help employees build habits of confidence and courage. 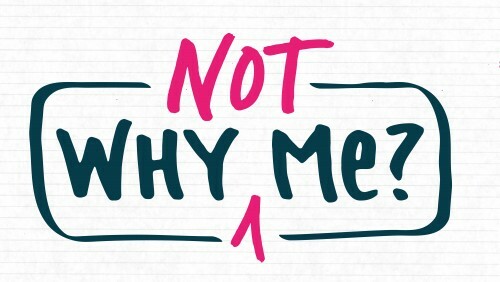 The conference’s opening keynote speaker, who’s sure to inspire with their “why not me” story, will be announced soon. Stay tuned for more information. In addition to the three keynote speakers, breakout sessions focused on reimagining the narrative around women in leadership will be led by Cy Wakeman, drama researcher, global thought leader, New York Times best-selling author, and President and Founder of Reality-Based Leadership; Kim Meninger, certified executive and leadership development coach, and President and Founder of Executive Career Success; Dr. Kristina Hallet, Board-Certified Clinical Psychologist and Associate Professor of Psychology at Bay Path, executive coach, and best-selling author; and Kim Lear, Founder of Inlay Insights, storyteller, writer, and researcher. Now in its 24th year, Bay Path University’s Women’s Leadership Conference has garnered more than 23,000 attendees and featured more than 165 prominent speakers throughout its history, including Lena Waithe, Arianna Huffington, Barbara Walters, Dr. Maya Angelou, Nicholas Kristof, and Gloria Estefan. For further information on the conference and to register, visit www.baypathconference.com. Rita Moreno is an actress, dancer and singer. Her career has spanned over 70 years; among her notable acting work are supporting roles in the musical films The King and I and West Side Story. Moreno is one of the few artists to have won all four major annual American entertainment awards: an Oscar, an Emmy, a Grammy and a Tony. She is also one of 23 people who have achieved what is called the Triple Crown of Acting, with individual competitive Academy, Emmy and Tony awards for acting. Moreno has won numerous other awards, including various lifetime achievement awards and the Presidential Medal of Freedom, America's highest civilian honor. Melanie "Mel" Robbins is an American on-air CNN commentator, television host, author, and motivational speaker. Robbins is widely known for covering the George Zimmerman trial; her TED X talk, How to Stop Screwing Yourself Over, with over 15 million views on YouTube alone; and her book, The 5 Second Rule.